Crane Construction has enjoyed more than 17 years serving clients as a professional, full-service builder of residential and commercial buildings. 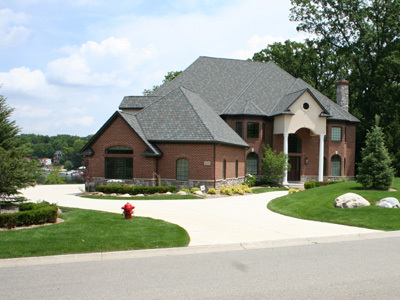 We design and build with pride single-family homes of all sizes, condominiums, and commercial building projects. The quality reputation of Crane Construction is due to our building and design expertise, and the warm and professional ways that we guide our clients through the building process. Our turn-key design/build services provide clients with both design and building services, saving them important time and avoiding common frustrations. After the building process, we are invariably closer with clients than when we began…a far different scenario than experienced by many builders and their clients. At Crane Construction, we create comfortable and convenient processes for our clients, making the building process understandable and easy for them. We begin by spending a few hours learning exactly what they seek in a home, condominium or commercial building, and discussing the various possibilities. We create a strong relationship, accommodate their needs, and guide the entire process. Should they have existing architectural drawings or a parcel of land, we will evaluate these with them. If they need design services, we bring them together with an architect. And, we introduce them to our contractors and share our list of preferred suppliers and vendors, or we are happy to work with the supplier of their choice. Many builders often pass customers down to a project manager. At Crane Construction, our hands-on service begins with owner Steve Crane, an integral part of every residential and commercial building project. From design to selection to building to certificate of occupancy, Steve makes himself available, accessible and personally involved in each project. As a result, customers trust the process, as they deal directly with the company owner and the many trusted professionals we have on our team. Altogether, we make the process as fluid, trusting and enjoyable as possible for our clients. At Crane Construction, our goal is to have happy clients who appreciate the building process and are thrilled with the final product -- their home, condominium, or commercial building. Our clients consistently tell their families, friends and colleagues about their great building experience with Crane Construction, which leads to some 90% of our building projects coming from referrals. Testimonials. We look forward to meeting with you and helping you make your building project vision a reality. Contact us at 810 229.9161 and scrane@craneconstruction.net.